It had to be a peacock really! The photos are mine, taken at a zoo sort of place in Australia. 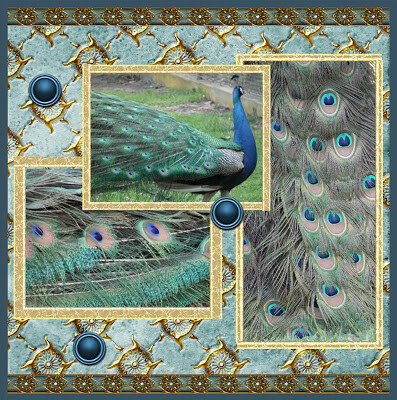 The background paper and border are from Debbi Moore's Jewel of India CD. Fabulous pictures Caroline, love the page you've made with them. thanks for joining us and so quickly at CD Sunday again this week. Yes Caroline the plummage of a peacock is wonderful.....so striking. I love your layout and the use of the close-ups of the plummage. Well it's the early bird as they say, fabulous card Caroline, the photos are perfect for the theme and i love the background paper you have used. Thanks for joining us at CD Sunday this week. 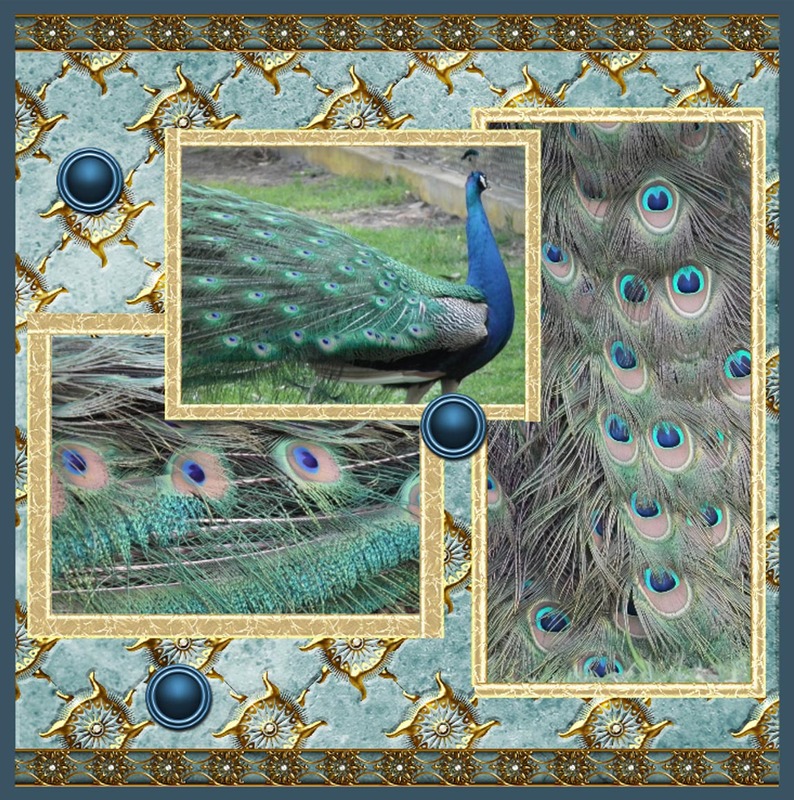 A beautiful photo Caroline and you've found the perfect backing papers for it. This is gorgeous Caroline. Peacocks are amongst my own favourite birds and the plumage is so fantastic. This is so well presented. A gorgeous card Caroline and wonderful plumage, the backing paper matches perfectly. Thanks for joining in at CD Sunday this week. What great photographs Caroline and the backing paper you have chosen suits the main images perfectly. WOW Caroline, this is beautiful. Your photo's are stunning and the layout is fab. Love the backing paper. Thanks for joining us again this week.